Type 582i Position Indicator. 20 mADC Max., 30 VDC Max. 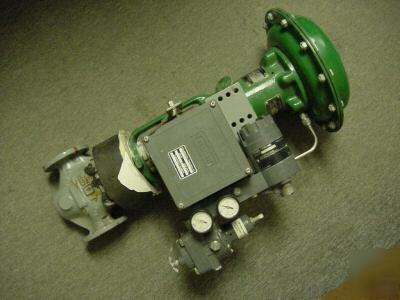 This is a USED valve ready for service at a price well below list. It removed from service from a production line that has been decommissioned. The housing on the position indicator is cracked open on one side. Some of the insulation is still on this from its installation. Go to: http://www.emersonprocess.com/fisher/ for more information.